Mr. Interrupted brought home a very special treat for the cats today: a live catnip plant. As you can see, it was very well received. Next Post Another Yarn Tasting! Brb, flailing at the tongue-pic and the last one. Sheer adorableness, right there. I can’t believe that’s still in one piece. My cats would have that torn up in seconds. This is so awesome. 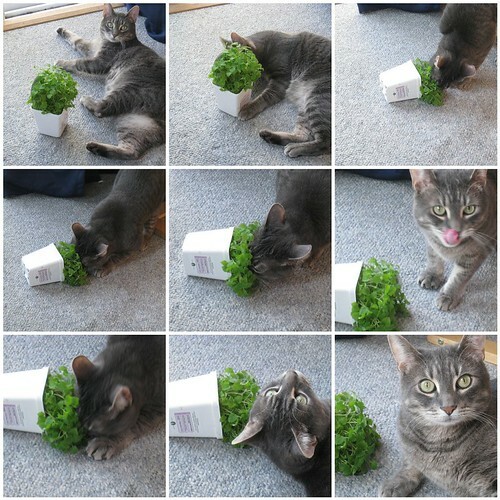 I love cats, and plants, and this is SO CUTE!